Tamara has a true artist’s heart that shines through everything she produces. Creativity flows through her veins, her father, mother and brother are all working artist and she loves all aspects of art. Ten years ago Tamara was blessed with a daughter with special needs. As a self-proclaimed perfectionist, entering the pandemonium of life with a child with special needs, caused all the things in her life that fit into nice, neat spaces, to be shattered. “I didn’t know which end was up, and in order to breathe I had to quickly learn how to live in my new chaos,” says Tamara. Abigail, has taught her more about life and God’s love than anyone. 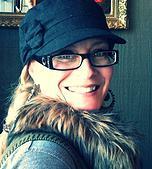 “A gift directly from The Creator’s hands to my life, she is His art, beautiful and perfect in her own special way!” Facing life in this new context has taught Tamara that life is messy, you have to ride the waves and roll with the punches. “Abby has taught me to turn art upside down and challenge myself to see the interpretation through fresh eyes and new perspectives.” Tamara’s idea of decorating the butterflies is for them to be “stunning little unique beauties bringing forth a beautiful wonder bestowed to a very deserving individual or goal”. 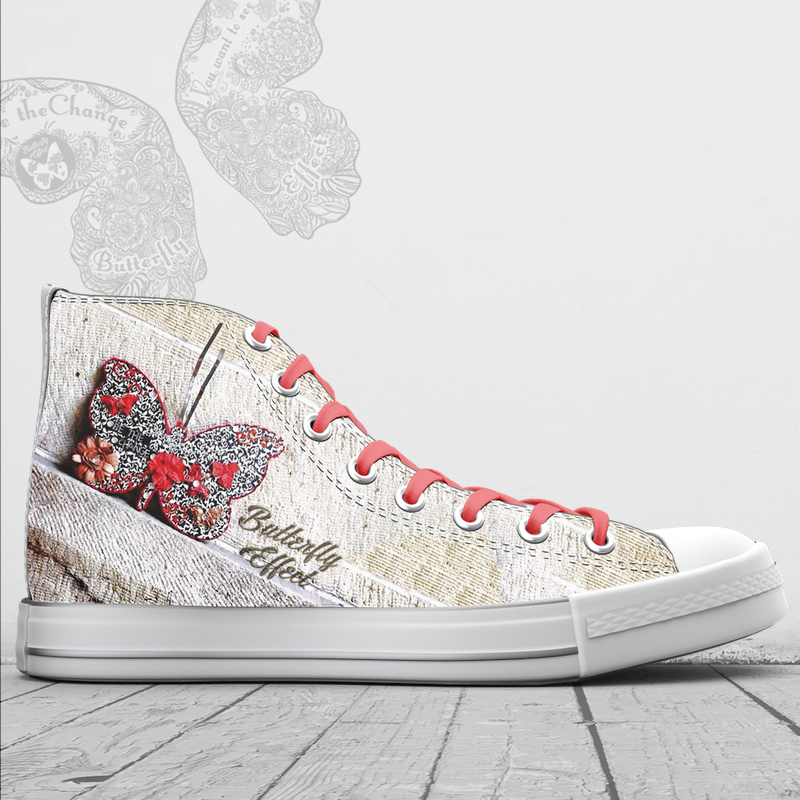 Thank you to Tamara Cochran for her beautiful butterfly that we created these custom made Vintage shoes after!